Description: Blue angled panel (measures 3-1/2" long, 2" wide). Description: Transparent blue-tinted angled panel (measures 3-1/2" long, 2" wide). 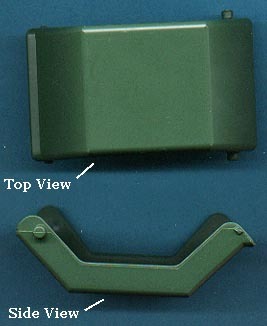 Description: Transparent green-tinted angled panel (measures 3-1/2" long, 2" wide). 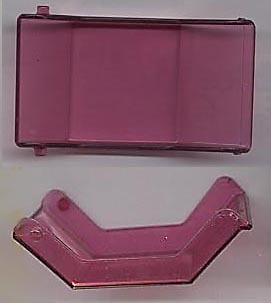 Description: Transparent purple-tinted angled panel (measures 3-1/2" long, 2" wide). Description: Transparent smoke-tinted angled panel (measures 3-1/2" long, 2" wide). 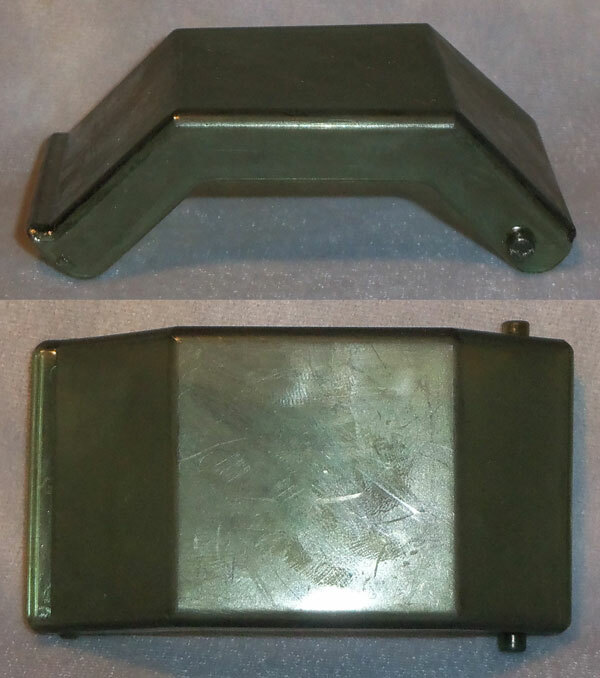 Description: Military green angled panel (measures 3-1/2" long, 2" wide). Description: Transparent orange-tinted angled panel (measures 3-1/2" long, 2" wide). 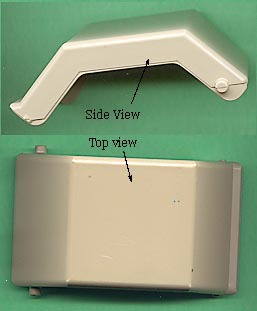 Description: Tan angled panel (measures 3-1/2" long, 2" wide).